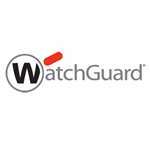 WG019312 WatchGuard XTM 25/25W 1-yr Gateway AntiVirus - Gateway AntiVirus is a security subscription for WatchGuard XTM appliances. It works in tandem with the application layer content inspection of the XTM to provide real-time protection against known viruses, trojans, worms, spyware, and rogueware. Gateway AV scans traffic on all major protocols, using continually updated signatures to block malware, while heuristic analysis identifies viruses and dangerous code that signatures don't detect.